Tonight Ashli continues expanding horizons as she chats with Linda Lowebeck, Founder of CE5 Copenhagen about the experiences she and her group have had in Copenhagen. 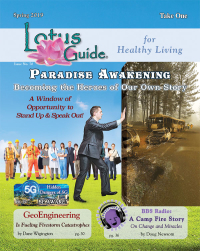 Born with awakened psychic abilities, Linda had her first visit by a Star Being at the age of 6 and is able to assist those participating in her CE5 Contact group with feeling and seeing the Galactic Visitors that join them on their monthly SkyWatch. 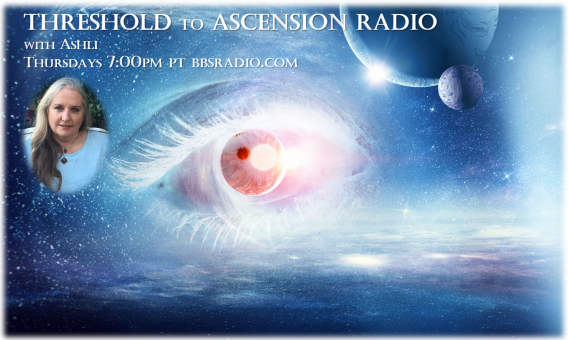 We'll talk about the consciusness raising aspect of opening to contact with Benevolent ETs as well as the unfolding awareness of contact around the globe. 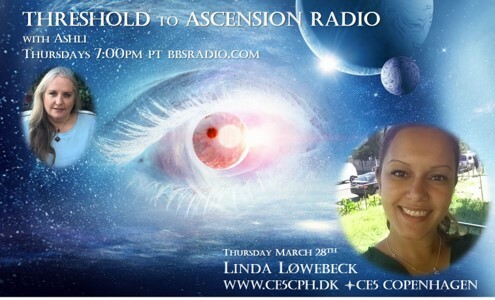 We'll also discuss Linda's healing modalities and personal contact experiences. Linda Lowebeck was born in Copenhagen, Denmark with her psychic abilities awakened. As a child she loved astronomy and dinosaurs and at the age of 6 she saw her first Star Being. Around that same time she began having telepathic communication with her Guides who presented themselves to her in human form. As she became aware that she needed assistance and tools to best utilize her innate psychic abilities she enrolled in a 3 year psychic medium training program in Copenhagen. She also underwent extensive healing to clear her own energy and old emotional patterns in order to be a clearer channel. 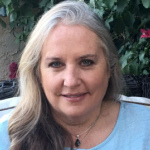 In navigating 3D Linda received a bachelor's degree in nutrition and a master's degree in IT & Organization yet follows her passion on a daily basis as the Founder and Owner of her own psychic consultation named Wonders of Clairvoyance. 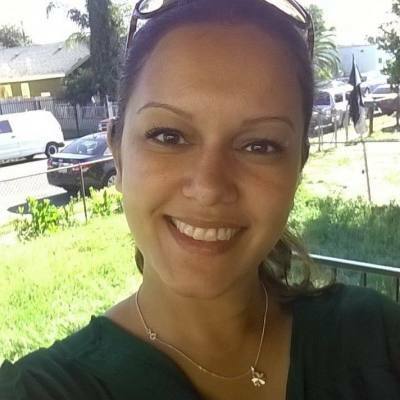 She is a professional psychic medium including clairvoyance (past-presence-future), contacting the deceased, and regression (past lives healing). She also does energy healing and Shaktipat (kundalini transmission) both face-to-face and long distance via Skype or Email. In 2013 the guides that presented themselves to Linda in human form slowly got replaced with Star Being Guides. In 2015 Linda saw her first physical UFO in the sky and this led to exploration that resulted in her founding CE5 Copenhagen in 2018. 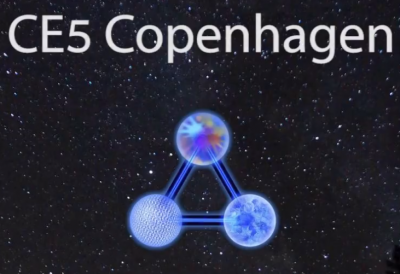 CE5 Copenhagen is a UFO contact organization, based on the works on Steven Greer, his Sirius Disclosure Project, and the ET/UFO contact protocol which he developed. As the Founder of CE5 Copenhagen Linda and the group meet once a month around the New Moon, do the contact protocol and have a beautiful out-of-this-world evening.